Xi Jinping “crossed the Rubicon” by backtracking from tough official rhetoric and making personal commitments to President Donald Trump in Argentina. To deliver on his commitments to Trump, Xi must resolve the CCP factional struggle, the chief factor blocking the implementation of Xi’s policies and the core problem in Chinese elite politics. Based on our research, the Jiang faction may have been expecting Xi to fail at his post-G20 dinner with Trump and were planning a political coup to oust him upon confirmation of his failure. Washington needs to account for the CCP factional struggle to balance being tough on Xi while supporting his reform push to bring about “massive and very positive change” for both countries. Should Xi deal successfully with his political rivals and fulfill his commitments to Trump, he faces the unavoidable question of what to do with the communist regime. Xi faces very high levels of political risk in the next 90 days. At his dinner with U.S. President Donald Trump after the G20 summit, Chinese leader Xi Jinping made several noteworthy commitments, including “very substantial” purchases of American products and immediately start negotiations on structural changes with regard to technology transfer, intellectual property protection, non-tariff barriers, etc. over a 90-day period. Both sides also agreed to pause the escalation of the trade conflict. Meanwhile, “China is willing to consider putting in place a mechanism to measure its progress” of opening up the Chinese markets, according to The Wall Street Journal. For Xi to even agree to make huge purchases of U.S. products and discuss structural changes is a big shift in attitude from a month ago when he and vice president Wang Qishan were talking up the Chinese regime’s ability to withstand a trade war. Also, Larry Kudlow noted that Xi “made the pitch himself” to Trump and was “engaged in a level of detail … quite unusual for the head of state.” Other U.S. trade officials at the dinner noted that Xi, with “extensive notes,” spent between 30 to 45 minutes going through and giving responses to the list of 142 demands made by Washington. By directly making a personal commitment to Trump instead of relying on deputies like vice premier Liu He, Xi had essentially “crossed the Rubicon” (or the Chinese proverb “背水一戰”) at the dinner table in Argentina. Put another way, Xi is taking ultimate responsibility for trade issues, and he has to deliver—or else. Based on the developments listed above and our research, we believe that Xi Jinping is very likely serious about fulfilling his G20 commitments to Trump during the 90-day negotiation period. On one level, Xi is forced by circumstances to make good of his best and last chance to avoid a full-blown trade and geopolitical conflict with the United States. Trump’s tariffs exacerbated the already worsening economic, financial, social, and food problems in China (see our research here and here), a phenomenon confirmed by the dismal official economic data for October and November. Moreover, the U.S. has been stepping up pressure on the People’s Republic of China on issues such as espionage, cybersecurity, influence operations, military expansionism, human rights, and other areas. The Chinese Communist Party appears to have reached a crisis point, and faces the very real possibility of being challenged by a revolution from below should Trump increase tariff rates in January 2019 and add another $267 billion in tariffs. The only “out” for the regime is to open up the economy fully and become a normal country. On another level, Xi probably feels that he can make commitments to Trump because he is already in the process of pushing through the political reforms required to make the structural changes necessary for greater economic liberalization in China. We explained what political reforms entail in the CCP context in February in our analysis of why Xi removed presidential term limits. Xi has clear incentives to change China. Whether he can deliver on his commitments hinges on the state of the CCP factional struggle. All issues in China are downstream from CCP elite politics, and the core problem in CCP elite politics is factional struggle. Factional struggle has dominated internal CCP politics since the Party’s founding to the establishment of the People’s Republic and into modern times. China analysis, particularly of elite politics, that do not account for the CCP factional struggle or are guided by an incomplete understanding of it may be accurate on specific incidents, but will always be directionally inaccurate. SinoInsider’s forecasting track record is based on our extensive research into the current CCP factional struggle. We have been directionally accurate in anticipating Beijing’s moves because we have been closely following the struggle between the Xi Jinping camp and the Jiang Zemin faction. The Jiang faction launched a coup to oust Xi even before he took office. Xi’s sudden “disappearance” before the 18th Party Congress in 2012 is connected to the factional struggle. Over the past six years, the Jiang faction continuously sought to undermine the Xi leadership using its vast influence over key Party and state organs (propaganda, military, intelligence, domestic security, etc.) to launch “passive,” and sometimes active, resistance. Xi reacted to Jiang faction operations with the anti-corruption campaign, sweeping military reform, and centralizing power to a very high degree in an effort to sidestep and break up institutional resistance. The Xi-Jiang struggle entered a critical period recently after Trump announced the first wave of tariffs on Chinese goods in mid-June. The Jiang faction, Party princelings, the military, and other interest groups appear to be strongly challenging Xi’s authority, likely with the goal of putting tremendous pressure on him to reverse his power consolidation efforts and revert the CCP back to rule by “collective leadership.” Xi pushed back against the challengers in recent weeks by making high-profile purges and signaling his intention to reform through the propaganda apparatus. Based on our research, we believe that the Jiang faction was expecting Xi to fail at his dinner with Trump in Argentina, and may have been preparing a political coup based on that outcome. Indeed, had Xi not secure a temporary pause in the escalation of the trade conflict, he would be at high risk of being ousted for “causing economic failure through extreme left dictatorship” (“極左集權而導致經濟失敗”). 1. On July 11, state mouthpiece Xinhua ran an article criticizing the personality cult of Hua Guofeng, Mao Zedong’s last designated successor. Around the same period, Xi Jinping’s name vanished from frontpage headlines in the People’s Daily. The CCP propaganda apparatus was under the sway of the Jiang faction for a very long time. Under Liu Yunshan’s oversight, the propaganda apparatus resorted to “advanced blackening” (“高級黑”) tactics to paint Xi as a Mao-like dictator, including organizing a Cultural Revolution-themed concert in Beijing in 2016; overseas Chinese media reported that Xi was furious that the “Red” concert was held. Liu is a Jiang faction elite and the previous Politburo Standing Committee member in charge of propaganda. Xi appointed officials whom he trusts to head the Propaganda Department (Huang Kunming) and oversee the propaganda apparatus (Wang Huning) at the 19th Party Congress in 2017. However, there are very likely elements still loyal to the Jiang faction inside the propaganda apparatus, and those elements could have been activated for mischief in July. The mixed signals in the state media with respect to Xi may be part of the reason why Politburo Standing Committee member and Xi ally Li Zhanshu instructed Chinese officials to uphold the “paramount authority” (“定於一尊”) of “core leader” Xi during a meeting of leading Party members of the National People’s Congress on July 16. 2. On Sept. 16, Deng Pufang, the son of Deng Xiaoping, gave a speech at China’s Disabled Persons’ Federation after being re-elected honorary chairman. The younger Deng called on the PRC to fix domestic problems while maintaining stable international relations. He also noted that “the most important thing at the moment is to properly address China’s own issues.” Deng Pufang’s speech was widely interpreted as a critique of Xi’s policies. Deng Pufang’s criticism reflects a growing unease about Xi’s high degree of power centralization among the Party princelings. The princelings initially backed Xi in his tussle with the Jiang faction, which had not been treating the bulk of them well during Jiang’s era of dominance (1997 – 2012). However, the princelings started to become wary of Xi after he started the financial de-risking campaign in the second half of 2017; many princelings are involved in China’s financial sector, and financial de-risking/deleveraging adversely affects their interests. 3. The persecution of Falun Gong, a campaign initiated by Jiang Zemin in 1999, appeared to escalate in October. Per an official document obtained by religious liberty and human rights magazine Bitter Winter, the security authorities in Liaoning Province ordered a crackdown on Falun Gong and other “heterodox organizations” from October 2018 to March 2019. On Nov. 17, the Falun Gong-run website Minghui.org published an article about the state of the persecution from January to November 2018. During this period, over 920 Falun Gong practitioners were arrested, including 72 cases of mass arrests involving 5 or more practitioners, and 25 cases of mass arrests involving 9 or more practitioners, according to incomplete data. The mass arrests took place in the provinces of Liaoning, Heilongjiang, Jilin, Shandong, Hebei, Sichuan, Hubei, as well as in the cities of Changchun, Dalian, Harbin, Weifang, Shanghai, Beijing, Tianjin, and elsewhere. Based on our research, places such as Liaoning and Heilongjiang are Jiang faction territories and were governed by Jiang loyalists before Xi Jinping took office in 2012. While Xi has since reshuffled the leading officials in most provinces, the new provincial leadership still have to deal with entrenched Jiang faction interests in the bureaucracy and the region in general. The increased persecution of Falun Gong comes around the period of Meng Hongwei’s arrest and rare public appearances by Jiang faction elite such as former vice president Liu Yunshan and Wu Bangguo. The end period of the Falun Gong crackdown in Liaoning, March 2019, coincides with the period where security apparatus reforms announced in March 2018 must be completed. The Central Leading Group on Preventing and Dealing with Heretical Religions (the “610 Office”), which oversees and coordinates the persecution of Falun Gong, is scheduled to be dissolved as part of security apparatus reforms. Given the coming abolishing of the 610 Office, there is a chance that local security officials in Liaoning are making one final push to implement Jiang’s orders while there is still a central organ driving the persecution campaign. 4. On Nov. 13, Qin Xiao, the former chairman of China Merchants Bank, said at a forum in Beijing hosted by Caijing that state-owned enterprises are not neutral regulators or supervisors, but rather are in essence a means for the government to directly intervene in market competition. The Caijing forum was attended by businessmen, scholars, and Chinese officials. Qin Xiao is known for being a so-called “reformer inside the system” and a Party princeling. His family has strong revolutionary roots: Qin Xiao’s father Qin Lisheng served with Xi Jinping’s father Xi Zhongxun in northern Shaanxi; his mother sought refuge in Mao Zedong’s Yan’an Soviet; and his uncle Yan Kuiyao was a general in the newly founded People’s Republic of China. In the 1980s, Deng Xiaoping began grooming princelings at the advice of fellow Party elder Chen Yun. Qin Xiao entered Zhongnanhai in 1983 to serve as aide to Central Secretariat secretary Song Renqiong. Qin Xiao is known to be close with Hu Yaobang’s son Hu Deping. In the modern era, Qin is a prominent promoter of universal values and political reform. “If we have people who always talk about politics engaging in [trade] negotiations, we will never have a deal. We don’t think deeply enough,” he said. Long Yongtu climbed the official ranks during the Jiang era, and was involved in discussions to admit China to the World Trade Organization. His criticism of Beijing’s policy is highly irregular in a political climate where officials have been purged for “improper discussions of Party Central policies” (“妄議中央”). It is very unlikely that Long would have said what he said without the backing of power factional forces. 6. On Dec. 3, the Beijing-based Duowei News published a lead article from the December edition of its magazine on its website. Entitled “Xi Jinping Should Take Responsibility for the Extreme Leftism That is Tearing Apart China,” the article argues that Xi, being the CCP’s “core” leader, must carry out “self-criticism” for spreading the “evil wind” of CCP leftism. The article also criticizes political trends under Xi such as “the Party governs all,” “upholding the paramount authority (“定於一尊”),” and a supposed move away from private enterprise. The December edition of Duowei’s magazine also carried other articles which were very critical of Xi and his policies. Some of the articles that were published on the website were later deleted. In commenting on the Duowei articles, prominent Chinese economist He Qinglian tweeted that Duowei is an “external propaganda media of the Ministry of State Security system” and added that the media outlet plays a “leading role” in promoting anti-Xi propaganda. The MSS system has long been under the sway of the Jiang faction via former Politburo Standing Committee member Zeng Qinghong. Xi only appears to have only started on rectifying the intelligence apparatus in late 2018. Duowei’s series of articles on Xi had to be ready around end November for it to make the December edition of the print magazine. We believe that the factional forces behind Duowei were betting that Xi would not be able to negotiate a pause in the trade war during his meeting with Trump after the G20, and hence prepared an essay strongly condemning Xi to rally his opponents to attack him for failing to ease Sino-U.S. tensions and worsening the overall situation in China. Had Xi failed to broker a pause in the escalation of the trade war, he would definitely be held responsible later for bringing China’s economy to the brink of collapse. In this hypothetical scenario, the Jiang faction could conceivably repeat what Deng Xiaoping did to oust the “Gang of Four” after the Cultural Revolution by purging Xi in the name of “bringing order out of chaos” (“撥亂反正”), a move that would likely gain the support of the masses. The Jiang faction has tried on several occasions to undermine Xi using economic means, most recently with a so-called “economic coup” during the 2015 Chinese stock market crisis. 1. On Oct. 7, the Central Commission for Discipline Inspection announced the investigation of Interpol chief and public security vice minister Meng Hongwei. On Oct. 16, the CCP Central Committee announced the expulsion of disgraced military generals Fang Fenghui and Zhang Yang from the Party. We analyzed earlier that Meng’s abrupt and high-profile vanishment suggests that Xi’s rivals had launched a soft coup against his leadership. Meng’s career background suggests that he is associated with the Jiang faction. We wrote previously that the timing of the announcement of Fang and Zhang’s expulsion from the Party is likely connected with the removal of Meng Hongwei. Fang Fenghui and Zhang Yang are both connected with purged Jiang faction elites in the military. (L-R) Fang Fenghui and Meng Hongwei. 2. On Nov. 18, a statue of the late CCP General Secretary Hu Yaobang was unveiled in his hometown Liuyang in Hunan Province. Official media reported that Hunan deputy provincial Party secretary Wu Lan and Hu Yaobang’s son Hu Deping attended the unveiling ceremony. Speaking at the ceremony, Hu Deping quoted at length a speech given by Xi Jinping in 2015 to commemorate the 100th year anniversary of Hu Yaobang’s birth. Hu Yaobang’s name is somewhat taboo in the PRC because he was reform-minded. His stint as Deng Xiaoping’s successor ended in 1987 when Deng forced him to resign for being too soft on student protestors and moving too quickly on free-market reforms. Hu’s death in 1989 inspired students protests in Tiananmen Square. Hence, it seems likely that Xi Jinping is signaling his intention to reform by unveiling a statue of Hu Yaobang. 3. 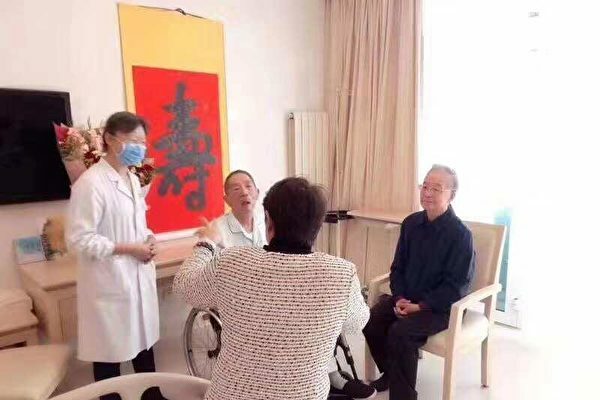 On Nov. 19, a picture of former Chinese premier Wen Jiabao visiting former United Work Front Department head Yan Mingfu in hospital made the rounds on mainland Chinese social media. Yan is well-known for supporting the student protesters at Tiananmen in 1989, and was removed from his post after the June Fourth massacre. 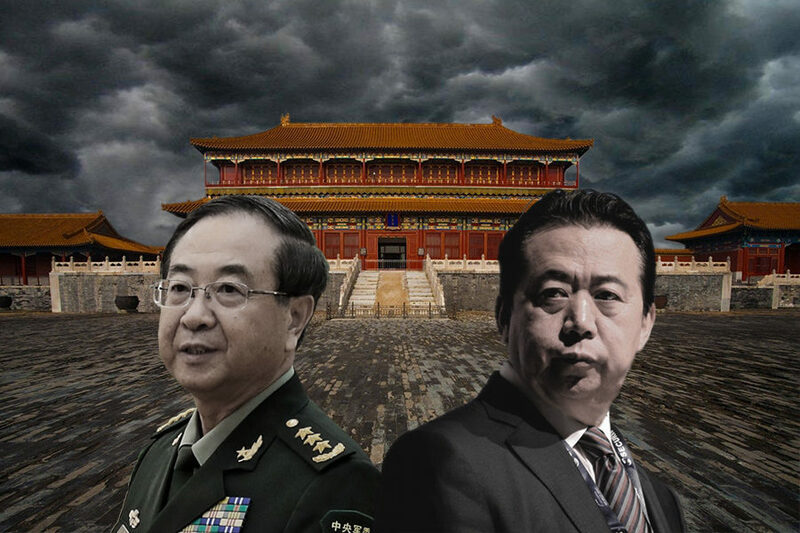 According to a Financial Times report on March 20, 2012, Wen Jiabao had openly called for the CCP to confront its Cultural Revolution legacy and privately advocated for a re-evaluation and rehabilitation of the 1989 Tiananmen incident. News of Wen Jiabao visiting Yan Mingfu follows the unveiling of the Hu Yaobang statue, and has similar implications in the factional struggle, i.e. challenging the Jiang faction by condemning Jiang Zemin’s legacy of persecution. 4. On Nov. 23, the CCP Central Committee held a symposium to commemorate the 120th birth anniversary of former PRC chairman Liu Shaoqi. All seven members of Politburo Standing Committee were in attendance. Mao Zedong purged Liu Shaoqi and Xi Zhongxun (Xi Jinping’s father) before the Cultural Revolution because he suspected that they were trying to challenge him. Both Liu and Xi were severely persecuted, and Liu died from torture. 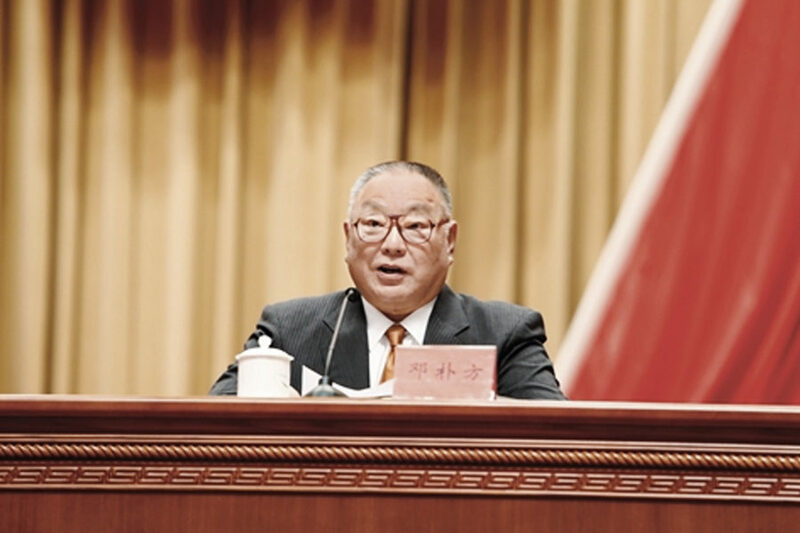 Liu Shaoqi’s son Liu Yun has good relations with Xi Jinping, and the former helped the latter tackle corruption in the military when the younger Liu served as political commissar of the PLA General Logistics Department. Based on our research, Xi sought to downplay Mao after coming to office, including curbing commemorations of Mao and tearing down the “world’s biggest” Mao statue in Henan in 2016. On the flipside, Xi commemorated Liu Shaoqi in a high-profile manner recently, possibly to signal to the Party that he does not intend to follow in Mao’s footsteps. 5. On Nov. 29, overseas Chinese language media reported that three influential retired generals were had been taken away for investigations on the same day. 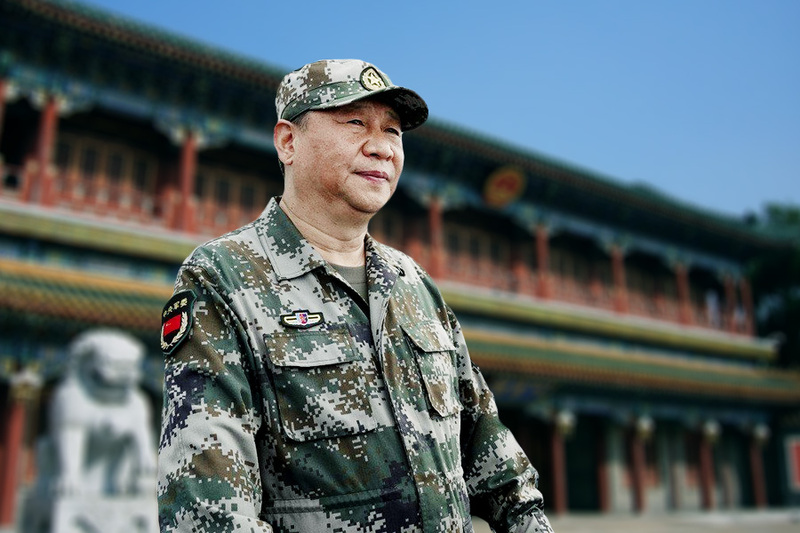 The generals are former PLA Navy commander Wu Shengli, former Nanjing Military Region commander Cai Yingting, and former CMC Equipment Development Department political commissar Wang Hongyao. Previously, all three generals were the subject of speculation that they were either being investigated or arrested. From Nov. 29 to Dec. 4, official media revealed that at least nine major generals and two lieutenant generals from the military theater commands, the army, the air force, and the armed police had recently been reshuffled. Five of the eleven received promotions and new posts, while six of the newly reshuffled generals had their new positions revealed in reporting of public events. Xi Jinping “crossed the Rubicon” on foreign affairs by making potentially regime-changing commitments at his dinner meeting with President Trump. Now Xi has no choice but to “march on Rome” and secure a decisive victory in the CCP factional struggle so that he can fulfill the commitments made to Trump within the 90-day period. CCP factional struggles are a matter of “you die, I live” (“你死我活”) for the parties involved. If the Jiang faction wins and manages to disrupt Xi’s ability to deliver on structural changes and reform, Xi and his supporters will almost certainly be purged in a manner akin to the “Gang of Four” after the Cultural Revolution. The Trump administration will then have to negotiate with the political power in the PRC that is responsible for refusing to open up China per WTO regulations and a perpetrator of gross human rights abuses. The Chinese people will be left with a government whose past policies have led to serious economic and societal problems today. If Xi succeeds in defeating the Jiang faction, he might be able to deliver on most of the commitments made to Trump, or at least push through enough reform on key demands to convince Washington to extend the pause in the trade war. Xi may later hold Jiang Zemin and his faction responsible for laying the roots of the many severe problems in China today (the economy, the Xinjiang issue, etc.) to boost a reform push and absolve himself of blame. However, Xi will be forced to decide on the fate of the Communist Party if he airs the Jiang faction’s crimes and continues to liberalize the economy to avoid crippling U.S. tariffs. 1. What Xi Jinping says at the CCP Fourth Plenum should signal how determined he is in deciding the factional struggle and delivering on his reform commitments. Xi must hold a Fourth Plenum to set the reform agenda. If no Fourth Plenum is held, this means that the factional struggle is extremely intense and Xi is in grave danger. Dates matter in the CCP regime, and Xi could opt to hold the Fourth Plenum from Dec. 18 to Dec. 22, or the anniversary of the CCP plenary session where Deng Xiaoping announced a plan to reform and open up China. Xi has avoided linking his policies with Deng’s reform legacy thus far, possibly to show that he is his own man and is creating a legacy which will surpass Deng’s economic reform. However, Xi might now be willing to hold the Fourth Plenum on the 40th anniversary of Deng’s “reform and opening up” to clearly telegraph a genuine intent to reform to the Chinese people and Washington. At the Fourth Plenum, Xi could use phrases such as taking reform into “deep-water territory” and “biting down on bone”—language which appeared in the Xinhua commentary a day after the official announcement of Meng Hongwei’s detention—to signal commitment to resolving the factional struggle, implement reform, and fulfill his commitments to Trump. The propaganda apparatus will likely repeat Xi’s message breathlessly to sell the urgency of making structural reforms to the officialdom and society at large. Aside from resolving political issues, Xi may implement pro-market reforms and shrink the bureaucracy to signal reform, rescue the worsening economy, and reverse the unemployment trend. For instance, Beijing could pass large tax cuts (10 to 20 percent) for enterprises to restore market confidence. Beijing could also order local governments to trim bureaucrats when they carry out institutional reforms before March 2019 as a cost-saving measure. 2. The Trump administration should account for the complexities of the CCP factional struggle in evaluating Xi Jinping’s reform intent. Strategies for dealing with Beijing during the very crucial (and potentially historical) 90-day negotiation period and beyond should strike a balance between keeping firm pressure on the PRC on trade and other areas while affirming positive action by the Xi leadership. For instance, Trump praising Xi and their relationship on Twitter after the G20 gives “face” to Xi and affords him some “protection” being attacked by political rivals for failing to de-escalate Sino-U.S. tensions. Yet Trump also warned that he is a “Tariff Man” and will not hesitate to walk away from anything less than a “REAL deal.” Meanwhile, Secretary of State Mike Pompeo maintained the Trump administration’s tough stance on the PRC by condemning the regime for “political repression,” “regional provocations,” and “undermining the international order” in a foreign policy speech at the German Marshall Fund in Brussels on Dec. 4. The Trump administration might also consider sanctioning Chinese officials who could potentially block Xi’s structural reform effort on the mainland. The administration may already be trying to sort out the reformers from the hardliners. In an interview with PBS on Dec. 3, Michael Pillsbury said that Robert Lighthizer could be “identifying that there are reformers inside China” and seeking to help them. He added that President Trump may be keeping “Xi separate from the wrongdoing, and try to get the reformers to change some of this egregious conduct” being done by the PRC. To better support the reformers, the Trump administration must understand the factional struggle and the key players who could potentially scuttle the 90-day Sino-U.S. negotiations before taking action. If Washington misreads Xi and the CCP factional struggle, then China and the U.S. potentially risk losing the best and last chance to allow the Xi leadership to prove its determination to reform. Fierce confrontation would follow, and the post-Xi or CCP future could be bleak. 3. In the event that Xi does overcome political rivals and deliver on his commitments to implement or take irreversible steps towards structural reforms during the 90-day period, he faces the unavoidable question of what to do with the communist regime. The CCP cannot undergo real reform and retain its integrity. To bring about the “massive and very positive change, on trade and far beyond” which Trump tweeted about, Xi may have to draw inspiration not from the 70 years of communist rule, but from China’s authentic 5,000-year-old culture and civilization.